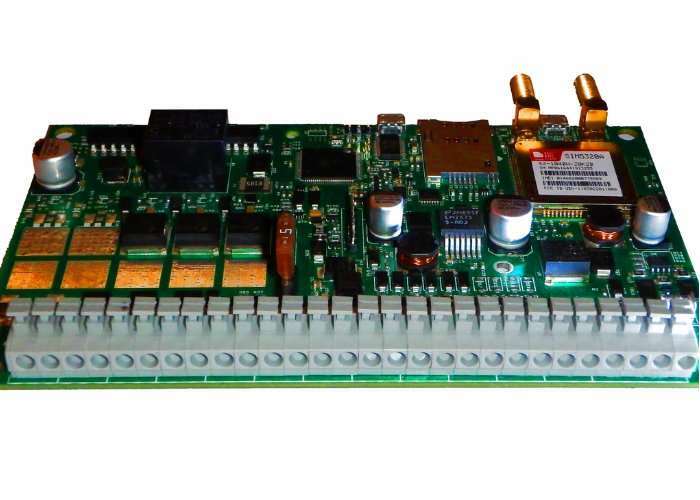 eVinci Technologies based in Canada have created a new Arduino development board called the Stronghold, which as the name suggests has been designed to provide a secure Arduino development board which comes complete with support for both 3G/GSM. The Arduino Stronghold is equipped with MOSFET-based outputs with safety relay, support for GSM/GPRS/3G/GPS, with RS485 or K-Line as well as Protection and support for Wiegand keypad, although the keypad is not included as well as 50 other parts dedicated to protection. • Ability to perform fault-protected pulse sensing (K-Line) through MAX13442E • 3-5 TVS/high-rate/range protected analog inputs. The development team behind the Stronghold Arduino development board explain more about its inspiration and features. We got determined to build a big brother to development boards. Arduino allowed hobbyists to develop code easily. It created a community, and we decided to give our share. Many different boards were born, but rarely a board was designed that was well-protected for more real experiments and projects. We especially liked a board with automotive applications (We are not promising any standards! The board is still provided as is). And so… Stronghold was born! It is the strongest development board made! By employing an Atmega2560 microcontroller, Stronghold can be easily used like any Arduino board, and can be programmed by Arduino IDE. Thus, Stronghold is Arduino-enabled. For more information and full list of pledges available jump over to the official Kickstarter campaign page via the link below.